Morvi State, also spelt as Morvee State or Morbi State, was a princely salute state in the historical Halar prant (district) of Kathiawar during the British Raj. The town of Morvi (Morbi), Gujarat, was its capital. The state's last ruler signed the accession to the Indian Union on 15 February 1948. 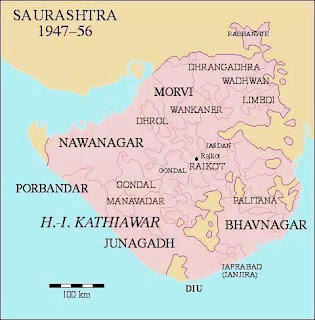 Morvi was founded as a princely state around 1698 by Kanyoji when the heir apparent of Cutch State fled Bhuj with his mother after his father Ravaji was murdered and the throne was seized by his uncle Pragmalji I. It became a British protectorate in 1807.The state was in the colonial sway of the Kathiawar Agency of the Bombay Presidency. In 1943, with the implementation of the 'attachement scheme', Morvi State enlarged its territory by an additional 310 km² with about 12,500 inhabitants when the Hadala Taluk and the Kotda-Nayani Thana, as well as the small Malia princely state were merged. On 15 August 1947 the state ceased to exist by merging into the west Indian United State of Saurashtra (initially - of Kathiawar), which later merged into Bombay state; since that was split up, it's in Gujarat. The rulers of the state bore the title Thakur Sahib until the last added the higher title Maharaja in 1926. 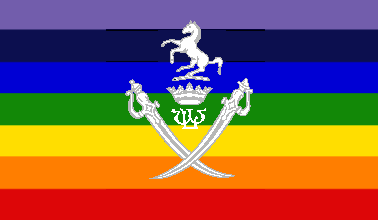 Morvi State was ruled by the senior-most branch of the Jadeja dynasty of Rajputs. They were entitled to a Hereditary gun salute of 11-guns. 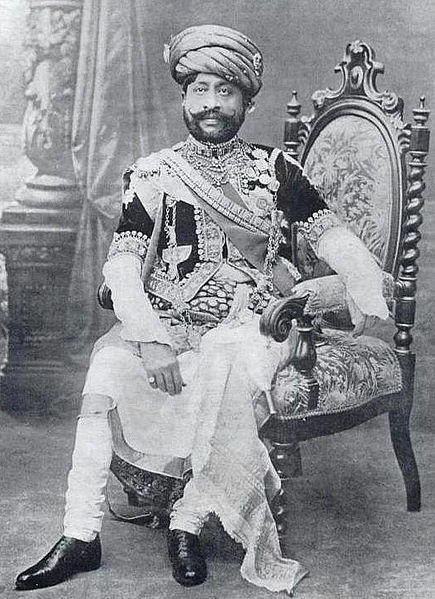 Picture of the Maharaja Thakur Sahib of Morvi Sir Waghji II Rawaji (1858 - 1922).